Why Gearbox Software Needs a Homerun at this Year’s E3? Gearbox Software is one of the most prevalent “off/on” developers in the industry with several games and franchises striking gold while others have been condemned as arguably some of the worst games ever to be released. Brothers in Arms may be somewhat of an under the radar WWII franchise, but is revered as one of the better story driven WWII first-person shooters. 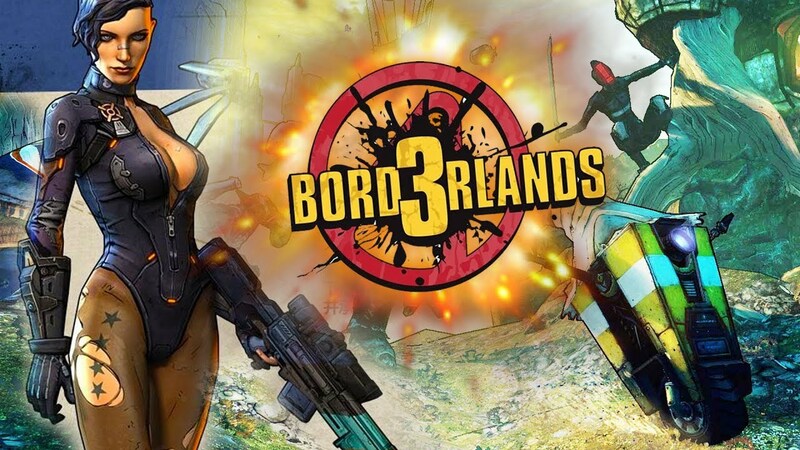 Borderlands has taken multiplayer FPS RPG videogames to another level and reinvigorated life into a genre that may or may not have been successful without the titular Gearbox/Borderlands humor and gameplay. However, we can’t forget about the bombs that Gearbox has released such as the, many times touted, Top 5 Worst Games of All Time, Aliens: Colonial Marines, and the hero based BattleBorn, that lasted a whole 3 weeks until OverWatch buried them 12 feet under. Let me be the first to say, I have never played Colonial Marines, because I am a huge fan of the movie franchise and will not subject myself to a game that belittles it. I did however play BattleBorn because my cousin Chris2, friend of the program and occasional photographer for Wicked Good Gaming, decided to buy it and it was an overall OK game with half decent gameplay and some interesting, yet underhwelming characters. Duke Nukem Forever was another one of the biggest letdowns of all time with over a decade in development hell and upon actual release, the joke were outdated and the gameplay was weak at best. With Gearbox touching both polar opposites of the spectrum with some of the most panned games ever being released and some of the most enjoyable multiplayer cooperative games ever being released, there leaves so much in between. If we take a look back at some of the most recent games released by Gearbox, Bulletstorm Full Clip Edition was a solid re-release, BattleBorn released Dead on Arrival, and Borderlands The Pre-Sequel was a a solid game on its own even though it is easily the weakest game in the main core franchise. They currently have a few games lined up for release with We Happy Few expected to go live this year, and 3 rumored, untitled entries into the Duke Nukem, Brothers in Arms, and Borderlands franchises. Let’s face it everyone, Duke Nukem has lost almost all of its luster. The year is 2018 and misogynistic and crude humored jokes only fly nowadays if you are Trey Parker and Matt Stone and can create beautifully brilliant yet simplistic RPGs such as the South Park games, not mediocre FPS games outdated by 15 years. The Brothers in Arms franchise has laid dormant for a literal decade with Hell’s Highway being released back in 2008 amidst the overflow of WWII FPS games, and the genre has already been retaken by Call of Duty and Battlefield. We Happy Few certainly looks promising as a new IP for Gearbox, but Borderlands truly is their bread and butter. That universe and mythos are so expansive that they have already ventured into the Telltale games narrative driven point and click genre, why not release another mainstay entry into the core franchise and branch off even further from there. I know we say these things all the time, but the realms that Star Wars, Mass Effect, and so many others fall into are deep enough to merit a game for each franchise in just about every genre of gaming there is, and this absolutely includes the world of Borderlands. I think it’s about time Gearbox leveled themselves back out, pulled up their boot straps, and got back on track. This years E3 2018 could be that year. Keep a lookout for details being released on We Happy Few, Borthers in Arms, and one of my most anticipated rumored releases, Borderlands 3 at this years E3.